Found in Hungary, the Vizsla dog breed is a friendly companion and the perfect house dog. This dog breed is fond of love and will stay in a family happily if it receives attention. It is great for people who are active and fond of exercise. The Vizsla comes in various shades of golden and has a short coat that is smooth and lies close to the body. Their eyes and nose are usually brown and are between 54-62 cm tall, and weigh around 20-30 kg. 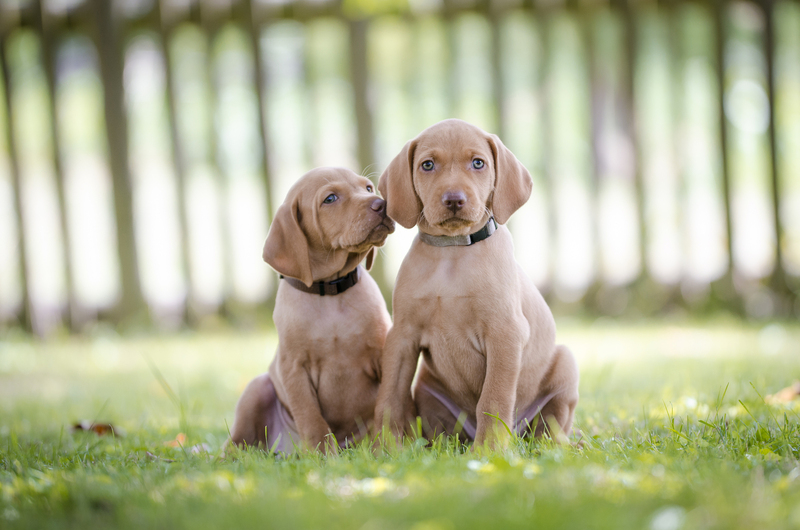 Most breeders sell Vizslas that have a longer coat that may have a different color. However, this is not the breed standard, so you should be careful when choosing Vizslas and avoid fraudulent breeders. They have a neck that is muscular and a deep chest. The tail is low set, and the back has a slide slope toward the tail. The toes are short and like a cat. 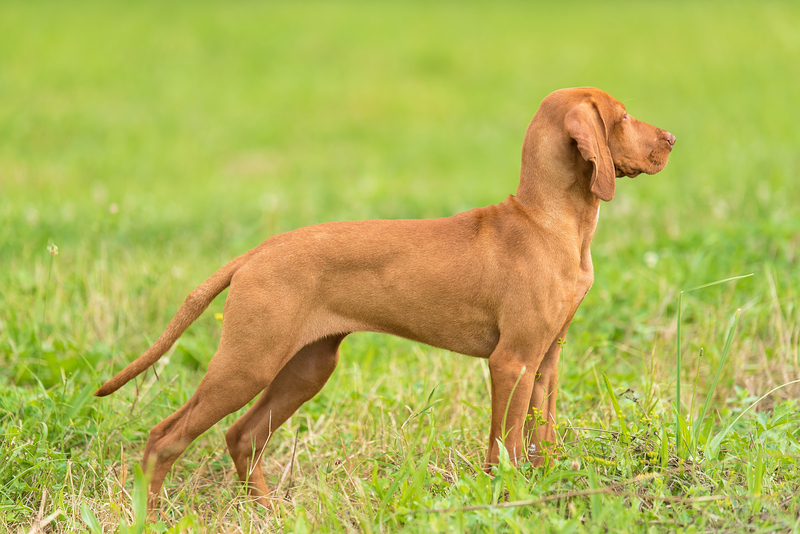 The coat of the Vizsla is very short and dense and requires minimal maintenance. The coat may look shiny but will be greasy when you touch it. You only need to clean its coat on a weekly basis. Brushing should be done occasionally to prevent the buildup of tartar. Brushing the coat will also prevent major shedding from taking place. You also need to trim its nails whenever you hear a clicking sound when it walks on the floor, which is usually once a month. The Vizsla has a gentle and affectionate nature. They are very sociable and extremely loyal. It is important to socialize it from a young age. The breed is friendly toward children and families, but make sure that children are under supervision when left with the dog. At times, children misbehave with dogs and this leads to them reacting in a negative manner. The child should be taught on how to behave in the presence of a dog. Also, you need to teach them to stay away from dogs when they are sleeping or eating. This breed makes a good watchdog and still respond well to strangers if it knows they aren’t a threat. Never leave a Vizsla alone or else it will develop depression, which can result in unwanted behavior. When it comes to socializing with other dog breeds, the Vizsla is very friendly. It can even make good friends with cats, especially if they are raised together. It still has the tendency to chase small pets, which is why it should be supervised. The Vizsla is a very sensitive dog and requires consistent training. If managed properly, this breed can be trained easily, but if you leave it alone, it can become rebellious. 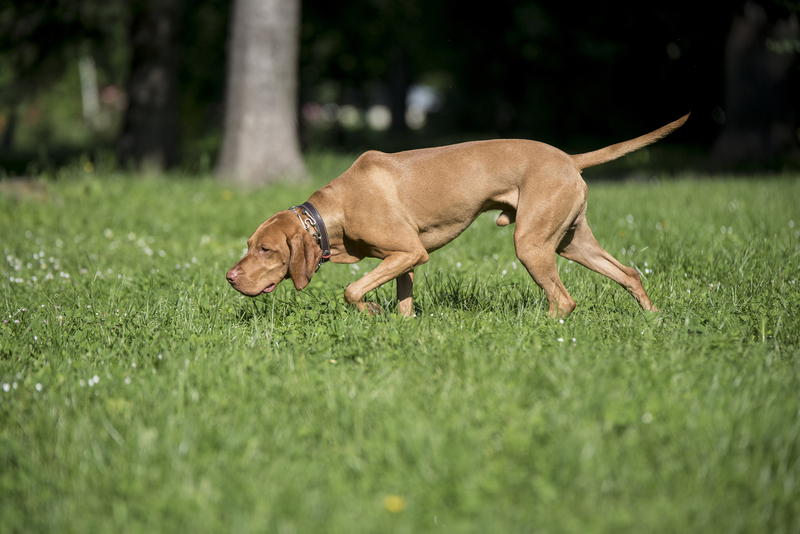 Overall, the Vizsla is a sociable dog that will respond easily to commands. It loves companionship and should be given attention when needed. Don’t leave the dog alone for a long time because this will make it difficult to train. 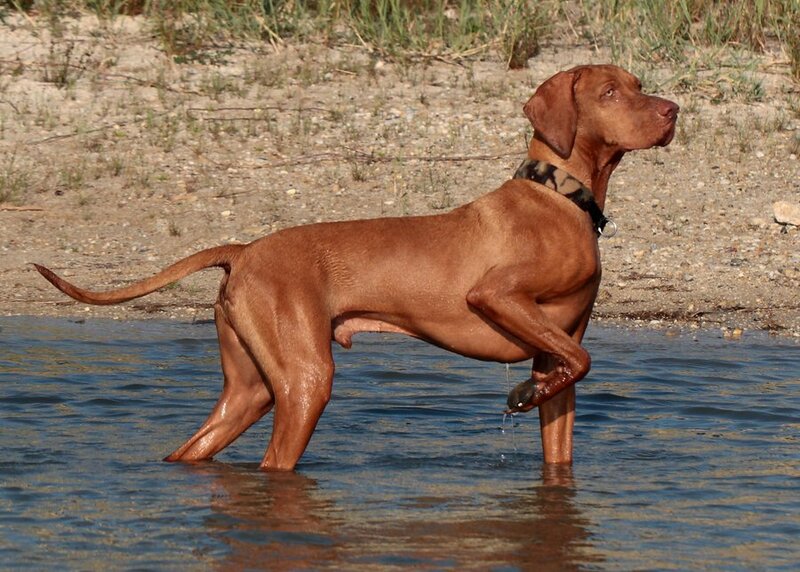 The Vizsla is an active breed that requires at least 2 hours of exercise daily. These dogs are suitable to be kept only by families that are active. Exercise is necessary for the good health of these dog breeds. They require a healthy environment for good functioning. This breed is happiest in a jolly environment and requires a lot of attention. If given proper training, the Vizsla can be an active dog that can complete multiple tasks. Also known as the Hungarian Pointer, the Vizsla is a descendent of the hunting dogs that were used by the Magyars. The Magyars settled in Hungary more than 1000 years ago and used these dogs to hunt game. The history of this breed dates back to the 10th century. 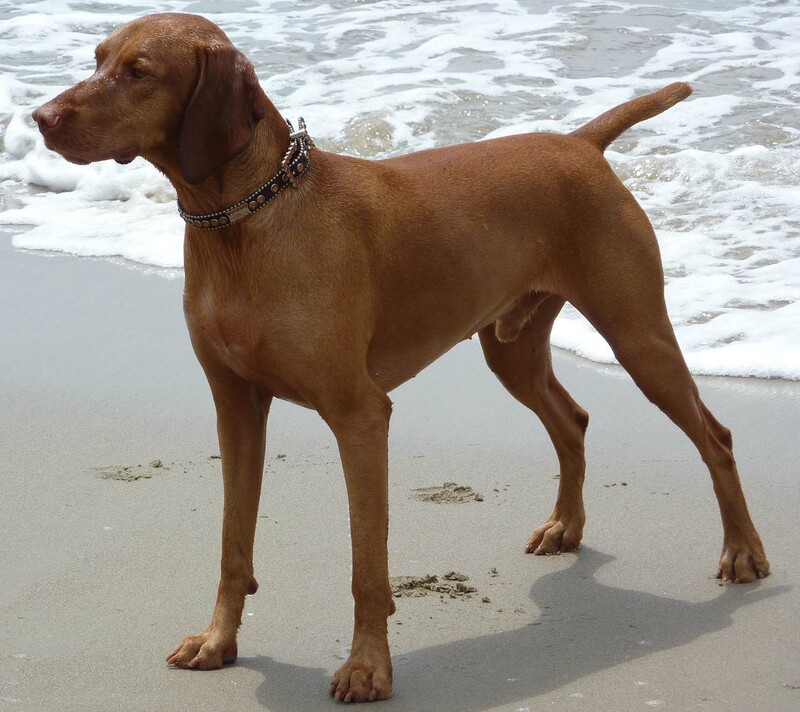 Toward the 20th century, the Vizsla grew up to become a prominent breed that had strong scenting powers. In the First World War, this dog was used as a hunting dog that delivered messages. After the First World War, the Vizsla breed began to diminish but managed to survive. In the 1950s, this breed was imported to the US. Back then, the breed looked different than what it looks like today. In 1960, the breed was recognized by the American Kennel Club (AKC). The Vizsla today has become a part of families and are even kept by police forces for terrorist inspection. It is a popular breed that falls at number 31 among the 194 breeds recognized by the AKC.